You are here: Home > How to connect MyURemote with any domotics system. This tutorial is meant for advanced users who want to control and vizualize a home automation system by using a control processor and MyURemote. Why MyURemote and not a brand-depended APP? 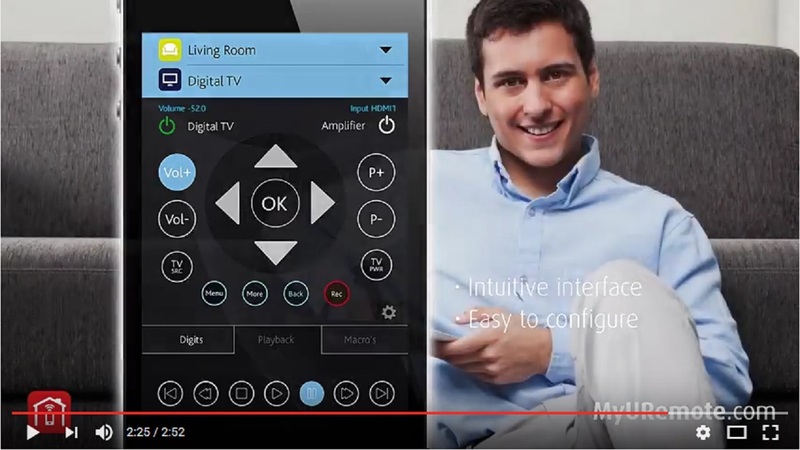 MyURemote has a very intuitive and easy to configure interface. Create macro’s (scenerio’s) and combine them with your Audio-Video system. Note that when you use MyURemote to vizualize and control your domotics you still have full control of your audio-video system. So you can use the same app for home-control as well as for AV-control. Any domotics home control system supporting a control processor. The app connects to a webpage to retrieve your interface. When pressing a command button (ex. “lights kitchen on”), or moving a slider, the command is sent to the control processor. The control processor translates, addresses and passes your command to the domotics bus. The communication consists of three basic commands: Set, Request and Response. The Set command is sent by the client to set a value to a group address (datapoint). The Request command is sent by the client to get a value of a group address (datapoint). The Response must be sent by the server as reaction to the Request command. 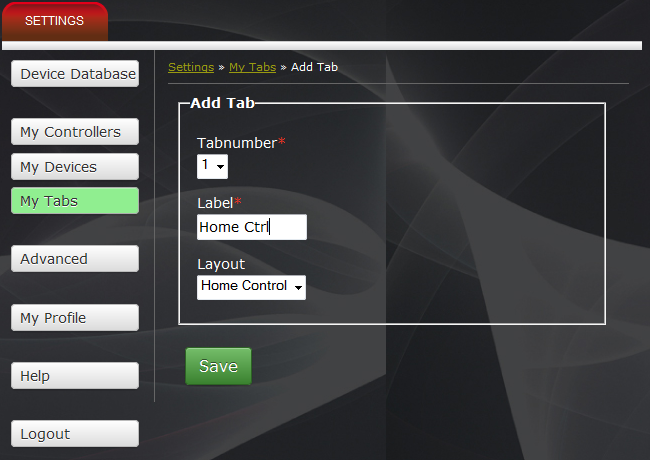 How to configure MyURemote for use with my control processor? Step 1: Add your control processor: click in the Settings tab My Controllers and add a new controller: “IP Control General”. 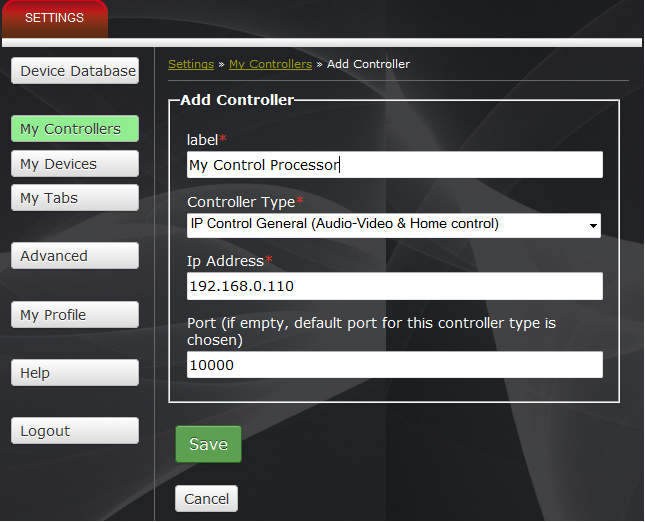 Step 2: enter the network settings of your control processor: IP address and port. Don’t forget to label the controller. Step 4: Add control objects to your tab (Sliders for dimmers, on / off buttons, sliders for curtains, macro buttons) and assign them to your new controller. Is it possible to create my own interface? ← How to use the relay port of my GC100? 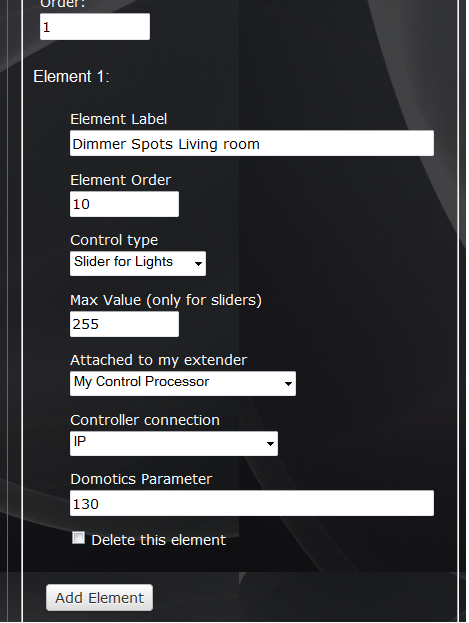 to call domotics scenes (of my KNX home automation system) in a MyURemote AV GUI I created a new a device in the uremote database with corresponding HEX commands. The goal was that MyURemote sends the socket commands over IP to a BAOS KNX gateway. That works great, however when I send the scene number, the wrong scene (atmosphere) called.